Hand pallet wrappers are the economical solution to wrapping pallets for safe and secure shipment. Use hand pallet wrappers with Venus Pallet Wrap or Pallet Netting. 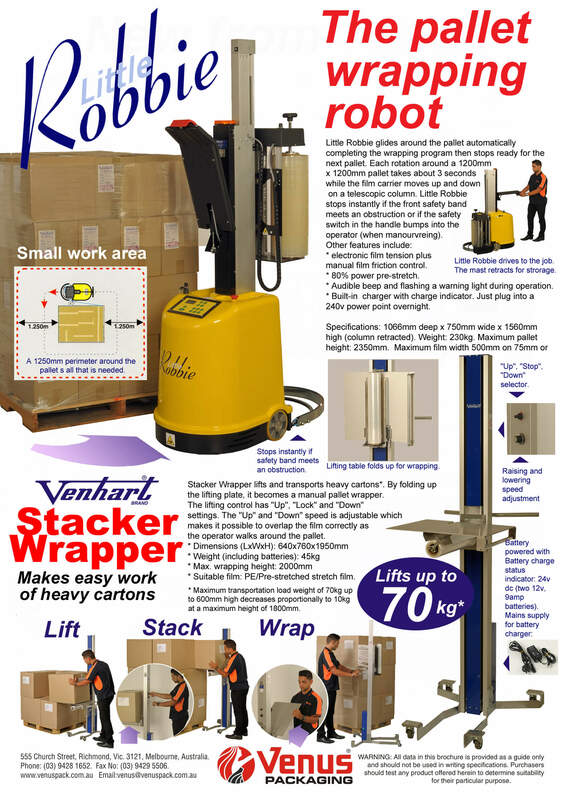 The Stacker Wrapper offers two machines in one with a particular focus on the health and safety of the operater. 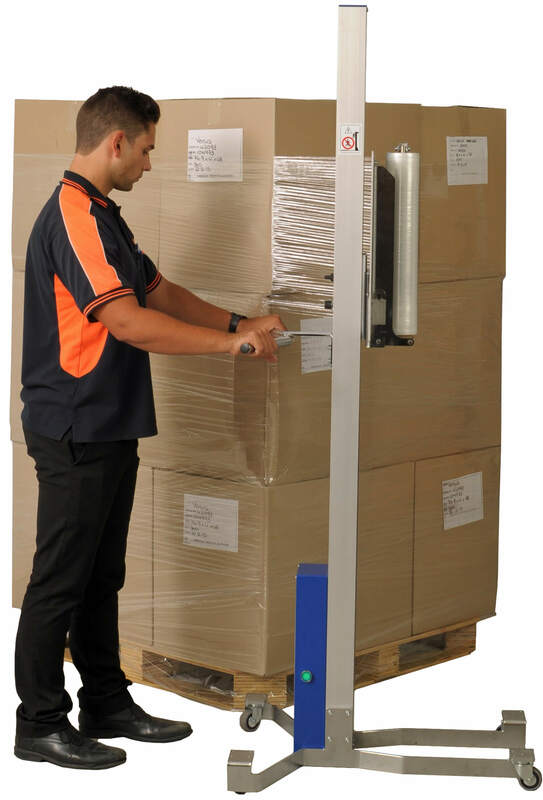 Initially the Stacker Wrapper performs a lifting function with the 'transformer' device providing assistance with lifting of boxes when stacking pallets. This functionality reduces the likelhood of physical strain on the operator, particularly when lifting boxes up above shoulder height. Secondly the Stacker Wrapper can be easily and immediately converted to a stretch film wrapper to securley wrap the loaded pallet. Venus Multi IV Pallet Hand Wrapper or stretch film dispenser is the economical option for wrapping pallets and other objects. The Venus Multi IV suits most I.D cores. 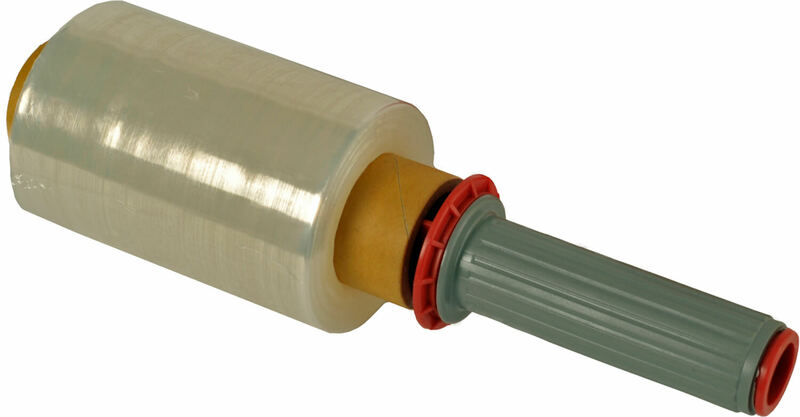 Venus Multi V Pallet Hand Wrapper or stretch film dispenser is very similar to the MultiIV, with a slightly different design, and also suits most I.D. cores. 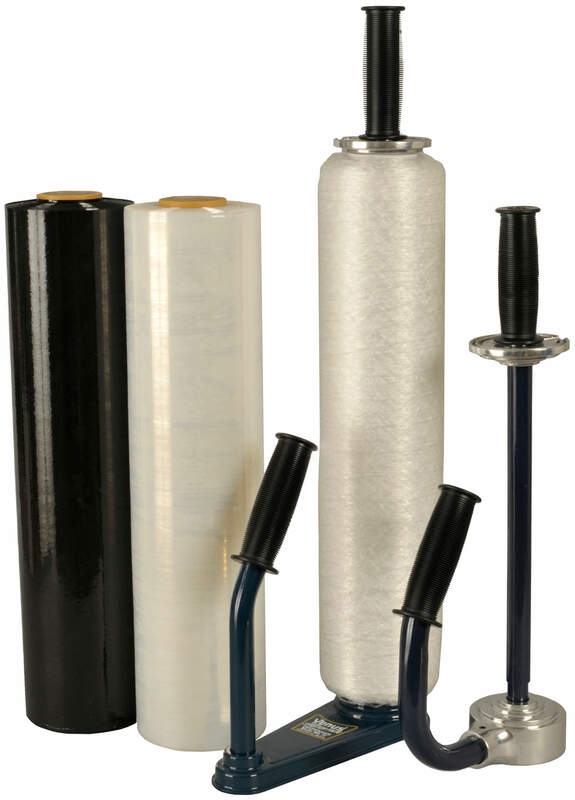 The Venus Hand Bundler 115/38 is the most economical option for bundling applications and suits 38mm I.D cores of shrink wrap. 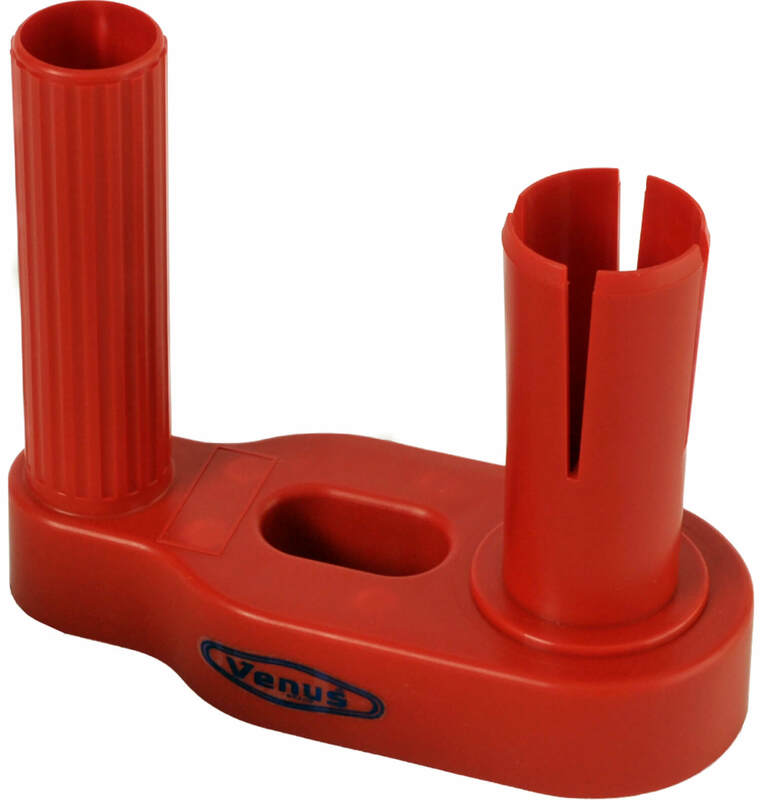 The Venus Hand bundler 115/50 is the same as the model above except suits 50mm I.D cores.